January | 2014 | Doodle-gami! Introducing Sorcerer Mickey! This whole thing is Uno fold. That’s right. 1!!!! I am proud of this guy because of his cuteness. I also used a lot of black on this guy. And he is very mousey. As you can see. So there. Good Bye. Don’t you have anything better to do? Well, if you’re looking at this site, then you don’t. Oh well. 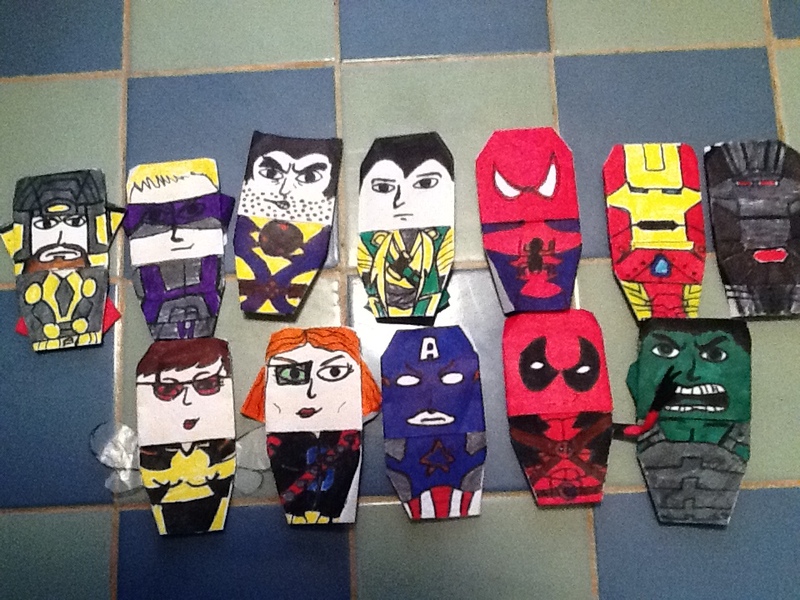 Doodle-Gami 16: The Avengers: My Way. Now who recognizes THESE people? This is the Avengers as I invision them, straight from my new universe, Earth 721. Epic much? The roster is (from left to right): Thor, Hawkeye, Wolverine, Loki(gasp! ), Spider-Man, Iron Man, War Machine, Wasp, Black Widow, Cap. America, Deadpool(yay! ), and the Hulk. Give me thoughts on this new universe. I am writing the Avengers origin story and will maybe, if I get enough support, post here. 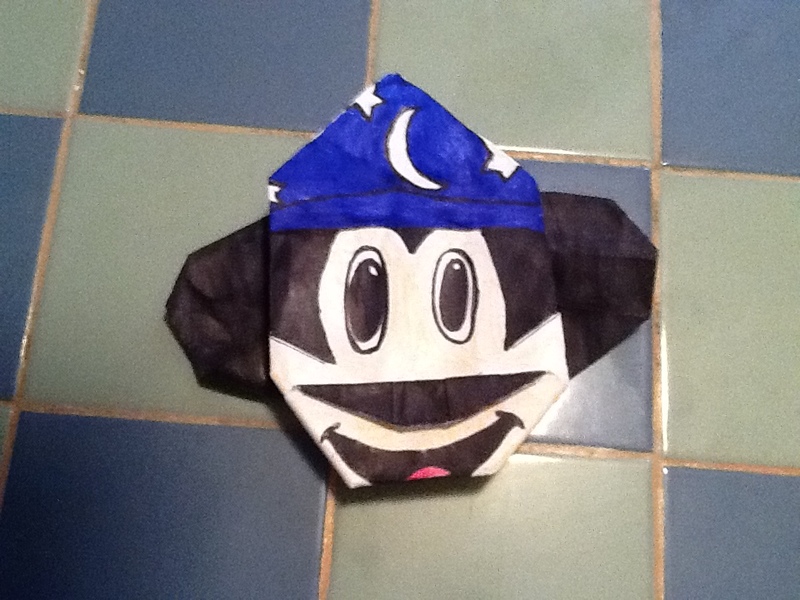 Next Time (aside from if Zach posts anymore Shakespearean stuff): Sorcerer Mickey! Hey everybody, SF Zach and origami Plo-Koon here! 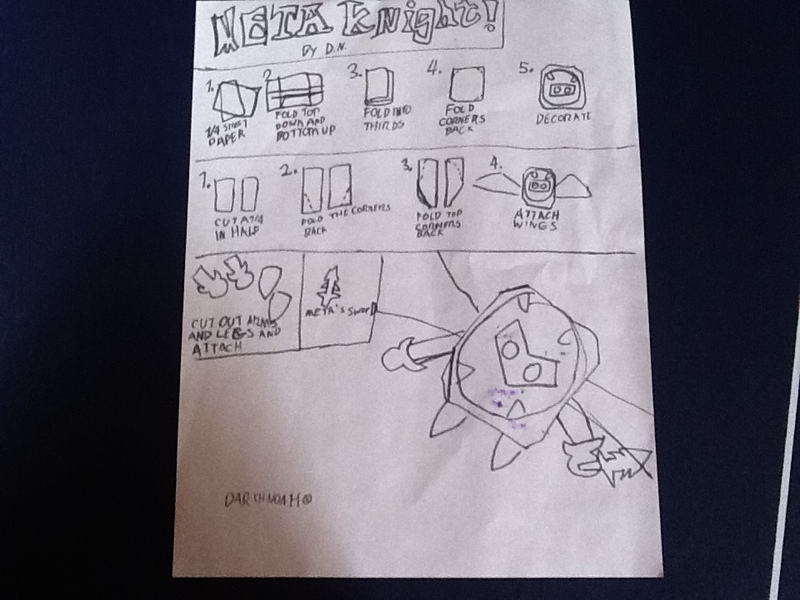 I made an origami Meta Knight! I used Darth Noah’s absoloutely TRIANGULAR instructions to fold him! So yeah, they work great! I also made an origami Kirby to go with him. 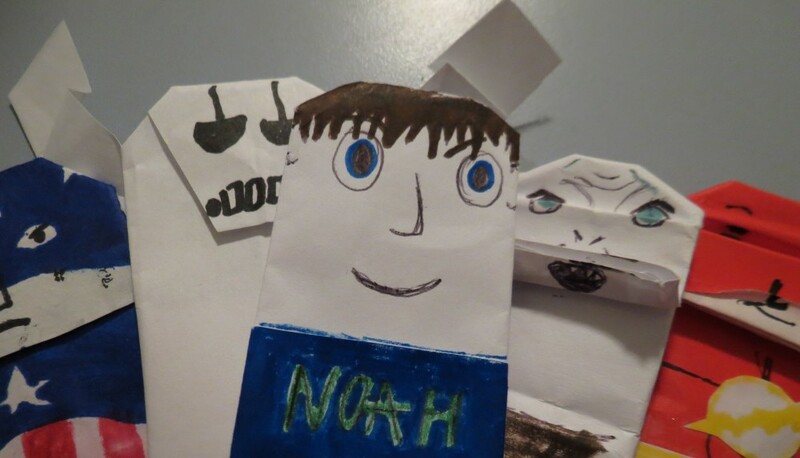 I hope you liked M eta Knight, and stay tuned for Noah’s next Triangular origami! (Extremely late) New Year’s Eve Meta Knight instrux! I have no excuse for posting it this late. Just fold the dang thing. Next Time: The Avengers: My way. Sorry guys, Meta Instrux will have to be postponed. For some reason, I can’t get the pictures on the website, and so it may be awhile. But do not fear, for a I will be back stronger than you could ever imagine…..